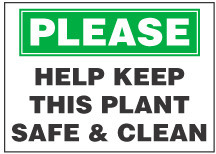 This motivational sign requests that employees try to keep the plant safe and clean. 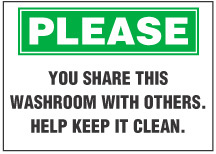 Sanitary Sign: You Share This Washroom With Others. 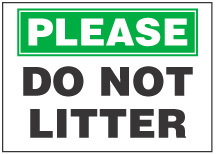 Help Keep It Clean. Sanitary Sign: You Share This Lunchroom With Others. Help Keep It Clean.